A good blow – to windSUP or not? WindSUP is everywhere at the moment and while the term may invoke groans from paddling purists you can see the attraction for ‘multi tool’ aficionados. 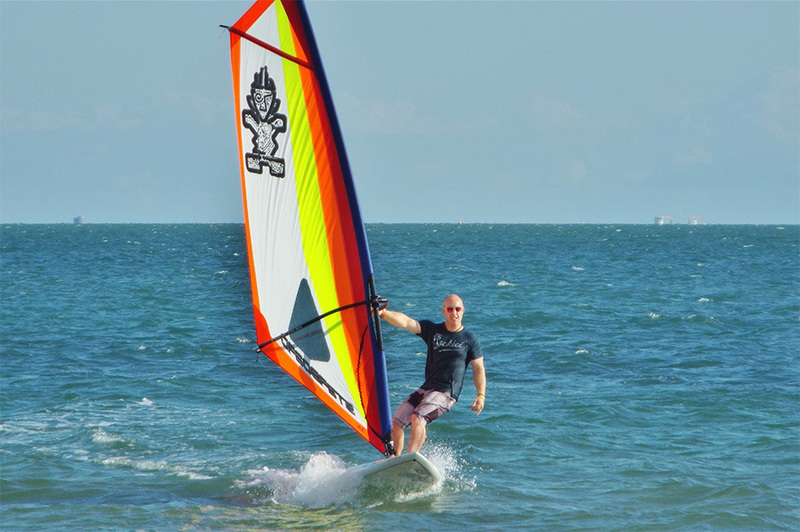 In the UK a large portion of new recruits hit on stand up after piggy backing from other sports – most notably windsurfing. 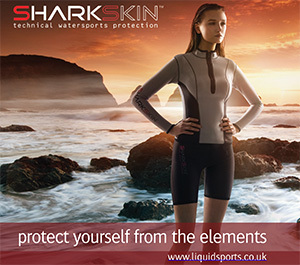 It therefore stands to reason there’s a market for cross over kit (one of the world’s biggest gear manufacturers – Starboard – also seem to think so). Living with an unpredictable and volatile climate is tricky for saltwater fans. Having the option to make best of use of conditions on the day is key to maximising brine time in the UK. There are of course those who prefer to head off on downwind runs when the breeze ramps up, but likewise sail power is applicable if it gets too rough. It hardly needs pointing out that stand up paddle is a versatile beast. Within each quadrant of paddling there lies options to branch out – windSUP is a case in point. Having attached a rig, there’s opportunity to cruise at a leisurely pace and take in the views. For a more energetic ride practice your light wind freestyle (whirling, spinning and manoeuvring your rig and body into contorted shapes). And finally, with the swell on the rise and a bit of puff in your sail, windSUPers are free to indulge in a bit of light wind wave riding. Learning a new skill may be the stuff of nightmares for some. Having mastered paddling in a straight line – turning without taking a dunking and getting back to shore safely – there can be a lack of enthusiasm for beginning again. Modern stand up paddle boards, especially in larger sizes, are stable platforms for learning the windy art. It used to be that SUPs, although offering rig attachments, weren’t particularly efficient at cruising (many slipping downwind if adequate skills weren’t displayed by the pilot). A number of brands nowadays, particularly those who understand windy rigs, offer boards designed to make the learning process much easier. If you’re reading this, have a sled that features a rig attachment and fancy having a bash at windSUP, then it’s important your set up is suitable. Nothing too big and ideally a softer feeling sail is the way forward. Even if you’re buying equipment separately you should be able to speak with your local retailer who will point you in the right direction. The last you thing you want to do is try ‘sailing’ with the wrong gear – frustration will be the usual end result. Alternatively, if you’re at the point of handing over hard earned readies, want something that covers multiple bases and maximises your time afloat, then consider brand bundles with specifically designed components – it’ll make your life a lot easier. WindSUP isn’t just for the lower echelons of performance. You only have to visit coastal wave venues on moderately breezy days to witness this. Unfortunately breeze in the UK is fickle and there’s many a time wind-heads will be left gazing forlornly out to sea wondering where the forecast went so wrong. Swells pump but no one’s sliding – enter stage left your trusty windSUP gear. Due to SUPs being so voluminous it’s now fine to reach for the log and attach your normal wave sail before floating out to the line up – lip bashing antics abound. In days past you would’ve been stuck on the sand but now there’s a back-up plan. While you’re never going to reach the contorted nature of full power shreddage, getting your wave quota is possible. 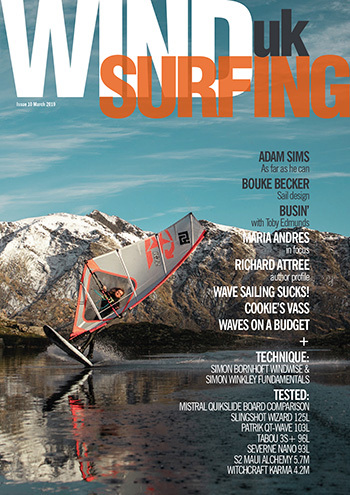 Some windsurfers are now windSUPing in waves more than they ride their normal windy gear. And what of the paddle? But let’s not forget you have a Swiss Army Knife of a toy here. Should the breeze not blow, you always have the option of swinging a blade. Depending on what type of performance you’re after will ultimately dictate what gear you plump for, but one thing’s for sure: windSUP equipment currently straddles multiple areas while delivering a decent level of fun and enjoyment. In this day and age ‘the green’ is scarce – recreational toys are usually at a premium. If you’re looking for as much bang for your buck as possible, considering two sports for the price of one is a good move. Stand up paddle boards with rig attachments are a great choice for those who love variety. When the breeze ramps up, maybe it’s worth considering another arm of our versatile sport? 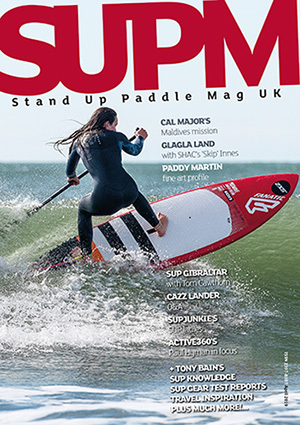 WindSUP may not be for everyone but it sure lends even more colour to UK SUP. If you’ve ever considered attaching a windy rig to your SUP then it’s perfectly fine to go it alone. A more efficient method would be to get yourself a lesson – knowledge is power after all! 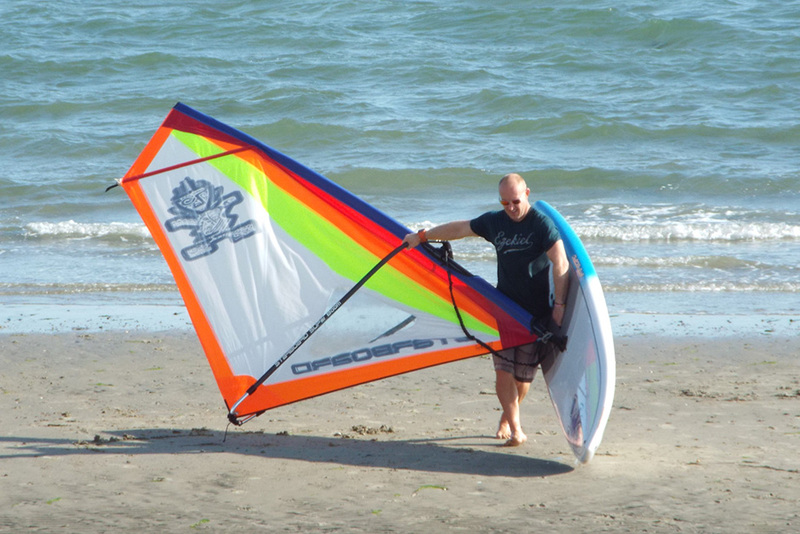 Check online for windsurfing courses in your area. Rig – sail, boom, mast, mast extension and universal joint (UJ). Uphauling – pulling the rig out of the water (via the uphaul). Beach start – stepping aboard your windSUP using the rig for leverage. Water start – when there’s enough wind you can use the rig to lift you out of water; therefore not having to uphaul (not essential for windSUP). Harness and lines – if you become competent at windSUP using a harness (and lines) is a way to improve performance, handle stronger wind and take the strain off your arms. Planing – getting up to full speed; the board lifts, overtakes its bow wave and rides off the fin (possible but not essential with windSUPs). Freestyle – spinning rig tricks that help with sail control. Wave sailing – riding some juice. 3 Comments on A good blow – to windSUP or not? Great article. The only thing I might add is if they don’t have a board yet go big, it is more fun and you fall in less. On the sail however go small at first, it will be much easier to handle. I have found WindSUP boards to be wave catching machines. They are good with a paddle, but when there is wind it is like attaching an engine to your board, it makes it very easy to catch even small swells and you get back out for the next ride faster. Jem Hall on his clinics advocates windSUP as the perfect addition to the quiver since it opens up new possibilities to enjoy the sea, as well as complementing the windsurfing: for no wind/flatwater it allows fun water time and great core excersise + balance; in small/medium swell it is great for learning about waves, since take off is super easy. When there is a little wind, stick a sail in it and work hard on those light wind fundamentals that build great sailors. I followed his advice and I get 3 times the water time I used to and my sailing has advanced massively as a result. It’s a great option.